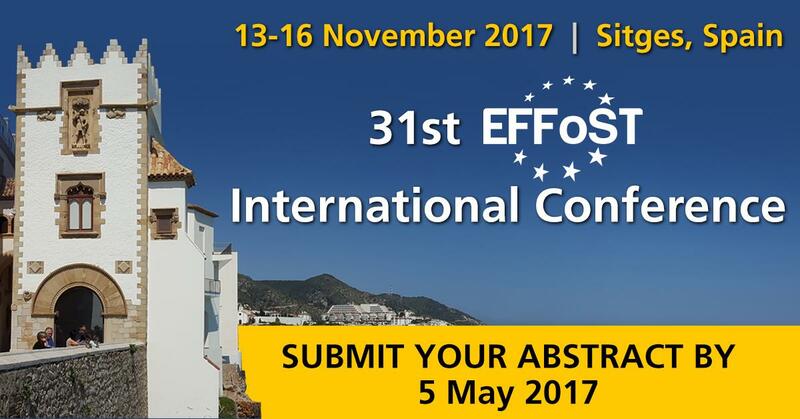 The 31st EFFoST International Conference will be held in Sitges, Spain from 13-16 November 2017 under the theme: Food Science and Technology Challenges for the 21st Century - Research to Progress Society. Oral and poster abstracts are now invited on the following topics. They should be submitted using the online abstract submission system. The deadline for submissions is 5 May 2017. For more details visit here the EFFoST website.